2018 ended and it's time to reflect on what lies ahead. It's time to put the ideas that flourished over the year in order and analyse the proposals of experts in what "trends" will come down upon us in 2019. Artificial Intelligence, Machine Learning, Adaptive learning, Microlearning, Gamification, Virtual Reality y Augmented Reality, Social Learning, Video empowerment, as in the case in Chamilo now with the inclusion of 360° videos, ….. all these terms may sound very modern, very trendy and we're pretty sure you've heard about most of these. Maybe you have a good idea of what some of these are, or maybe you feel like they are still more into the realm of science fiction. 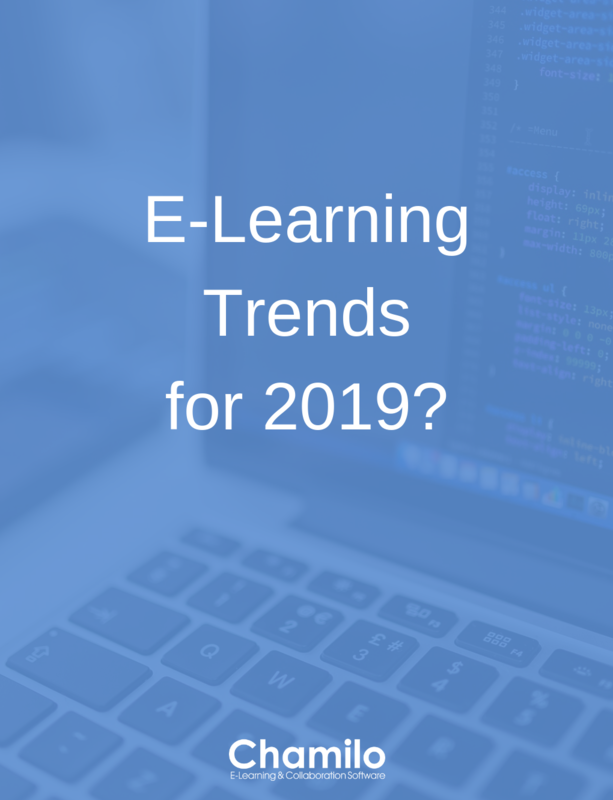 Maybe these trends will dominate in 2019, but many of these have already done so in 2018 (we wrote, for example, about microlearning in early 2018) and we're sure they will continue doing so well into 2021, given the fact they enter into the category Clark Quinn, the learning technologies expert, calls “Shiny Objects” and which included these “new tools (almost toys) that although they present legitimate advantages, they're not the universal solution, but we'd like to pursue them anyway”. Clark says it “is entertaining to experiment with the latest technology because it is a new, unexplored world, and we can be the first to achieve something significant, but none of these “shiny objects” covers 100% of the learning needs of the users to which we direct our training activities". This being said, we don't want to argue that innovation needs to be slowed down or stop experimenting, not at all! But we should be cautious and not loose track that none of these shiny objects will make sense without a solid basis of what learning means. Or in the words of ClarkClark “there is a promising future, but it doesn't start with Artificial Intelligence or Machine Learning. It starts with getting to the realities of how we learn and how we can support learning. When we do this, our future will be one that helps our organizations and our people prosper. Our future can be shiny, and it depends on us to make it this way”.